Children Adjusting to School: Looking Out for the Child’s Best Interests and Co-Parenting. Divorced parents with a duty to cooperate with one another about their children’s education and school experience may find that there are issues arising over children adjusting to school. Whether it is a new school year, classmates and teacher, or a new middle or high school, transition can be difficult. If your child’s school called you, would you talk to their other parent, and if so, how soon? Just because one parent is the primary daily caregiver does not mean that the other parent is not equally as important in their child’s life and education. The competition to get into good schools is tighter than ever and every step in your child’s school experience and records is important. If you have a positive co-parenting relationship with the other parent, it may be a good idea for both of you to participate in any conferences with the school and with the child. Showing solidarity and a lack of tolerance for negative behavior can make the right impact on a child. Keeping the communication lines open also allows for you and the other parent to keep up with your child’s behavior and demeanor when the other parent has their time with the child. Is the Problem Something at School or at Home? As parents it is easier to point the finger at another than at ourselves. When the school calls and says our child is having problems and not responding normally it is easy for us to assume the new teacher or kids in class are the problem. While sometimes it is someone else that is affecting your child, the someone else could be someone you did not expect. Imagine that you have been fortunate that co-parenting your child has been a positive experience, for the most part. Now your ex-spouse has a new significant other and recently your child has been getting into trouble at school or has changed direction in their attitude towards studying and homework. When the student who normally receives good reports from school is now failing to complete assignments and turn work in on time, might be making a cry for attention or more. Where in many cases an adjustment problem at school can be about normal growth and maturity or a response to factors in or out of school, attention to the child’s needs can be what it takes to cure the adjustment problem. Be cautious about making serious changes to the routine of a child and their base of friends and culture. Of course, if there is a risk of harm to the child or a significant impairment to their ability to function and learn at school, there may good cause to make a change. Whenever possible, discussing these issues as adults with the other parent is helpful in solving problems or agreeing to make reasonable changes. In Wichita Falls area divorce and family law cases, attorney Richard T. Sutherland is focused on best interests of children and has worked in many capacities representing children’s best interests in court. If you need to make a custody change or are considering moving because of issues with children adjusting to school, you can call Richard T. Sutherland in Wichita Falls to discuss your rights and options. Call (940) 691-2100 or Contact Us through our website. What to Do When Child Protective Services Calls: A Wichita Falls Family Law Podcast with Richard T. Sutherland (940) 691-2100.
Who is Child Protective Services and What is its Purpose? This month’s Wichita Falls Family Law Podcast with Richard Sutherland focuses on Child Protective Services (CPS) and provides an overview of key elements of the purpose of the agency and what to do when Child Protective Services calls. What is the purpose of CPS? What is the general process of CPS reporting? What is involved in the investigation process? Why people hire attorneys and how they represent parents in CPS cases? About Child Protective Services: CPS is a division of the Texas Department of Family and Protective Services, the agency investigating reports of abused or neglected children in Texas. There are 13 categories of what constitutes abuse and four categories for neglect under Texas law. Note that accidents and reasonable discipline not exposing the child to the risk of substantial harm are excluded from the definition of abuse in Texas. Employees of clinics or health care facilities that provide reproductive services. About the CPS Report: The report should include the reporting party’s belief that a child has been abused or neglected or who has died of abuse or neglect, and the report can be made to law enforcement, CPS or state agencies regulating a facility where alleged abuse or neglect occurred. The reports contain the name and address of the child and other persons responsible for the care of the child and other pertinent information. About the CPS Investigation Process: Being prepared in the event CPS or law enforcement contacts you about a report of abuse or neglect is important. Contacting an attorney is advisable and it does not mean you look guilty. There are a variety of steps involved in a CPS investigation and interviews of the child may take place at school or at home, including persons CPS determines are necessary to be present. Important Takeaways: A CPS complaint can arise in a variety of settings such as one spouse in a divorce making complaints of the other to try and improve their chances of getting sole custody or a larger share of the marital estate. There is protection for people who are wrongfully accused. CPS is duty bound to investigate all complaints to protect the interests of children. Being organized and having an experienced family law attorney is important. In the next podcast in this series we will talk about suits brought by governmental entities to protect the child. Richard T. Sutherland is an experienced Wichita Falls, Texas divorce and family law attorney. If you need to learn more about what to do when Child Protective Services calls, or any other matter involving the best interests of and care of children, call us at (940) 691-2100 or contact us through our website. If you want to have extra money and financial security when you are older, you should learn about and save money as soon as you can when you’re young. While this might be intuitive to some, most of us learn how to navigate life by learning from our parents. The sooner you teach children about the value of money, the more likely it is children will make better decisions and learn financial independence. Saving up money for something a child wants is empowering for them, especially when they start to seek new opportunities to make more money to save. A 12-year-old with a lawnmower and a neighborhood of potential customers can be well on their way to healthy financial future and respect for work and money. At what age do you teach children about money? As soon as your son or daughter is old enough to want things, they can learn the concept of earning something. When a toddler wants a toy or treat you can teach incentives by positively rewarding behavior and extra things a young child can do to help mommy or daddy. 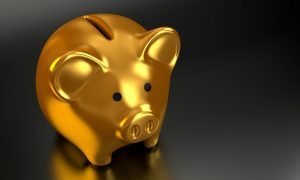 As a child grows older and understands the concept of saving money for something, try starting with a piggy bank or glass jar in which a child can watch their pennies stack up. Consider this article in Parents magazine that offers and age-by-age guide to teaching your child about money. When children grow into young adults there are many more chances to help your son or daughter find the right information they may need to make good decisions with their first significant salary or with their own booming business. Of course, everyone will make mistakes with money and that is how we all learn. Kids who grow up cutting lawns to earn money can turn their local income generator into a considerable small business when they have a pickup truck. After earning some new customers through word of mouth, junior can load the push mower in the bed of the truck and make new money. Eventually junior has enough new money to buy a trailer and start a website a social media pages. With advertising and even more new customers the kid with the pickup and the website can finance or purchase a much larger mower and can earn much bigger and better paying projects. With years of experience in divorce practice, Wichita Falls attorney, Richard Sutherland, knows how much parents are concerned with their children and whether they will be smart and responsible with money. There are lessons to earn at any age and people can always improve their financial health. For information about divorce and family law matters including the preservation of income and wealth, contact the Law Office of Richard Sutherland by dialing (940) 691-2100. 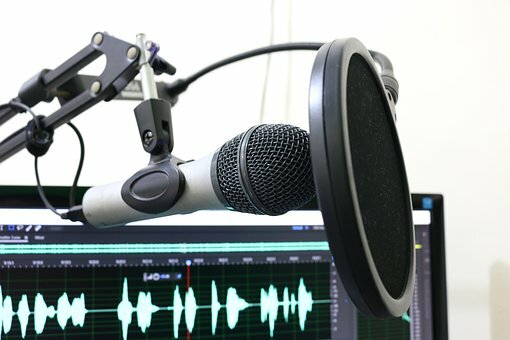 Richard Sutherland’s Wichita Falls Family Law website contains several pages, articles and podcast interviews explaining answers to common questions about Texas divorce and family law. While the answer to many questions depend on specific situations, you can listen and learn the common issues involved in a Texas divorce or a case involving parent and child relationships. Call Richard Sutherland in Wichita Falls with specific questions or to schedule a consultation by dialing (940) 691-2100. Meet Wichita Falls divorce attorney Richard Sutherland who explains Texas divorce and family law. Learn about the common issues a client might experience during a divorce or family law case involving children. Listen and learn the basics of child support and custody in addition to common concerns in divorce cases. Are you concerned about child support payments? Whether you are married and considering divorce or have a child with another to whom you are not married, you may listen to Richard Sutherland explain how child support is calculated in Texas and who may be obligated to make child support payments. Learn what to expect if you have a situation involving child support payments that are not being made or when it may be necessary to modify a child support obligation. In Texas, the Family Code uses the term conservatorship, where most people think of custody. And when most people talk about visitation, the Texas term is possession and access. Listen and learn the differences among and rights and duties of a joint managing conservator, a sole managing conservator, a possessory conservator and a non-parent conservator. Life happens, and people need to move from time to time. 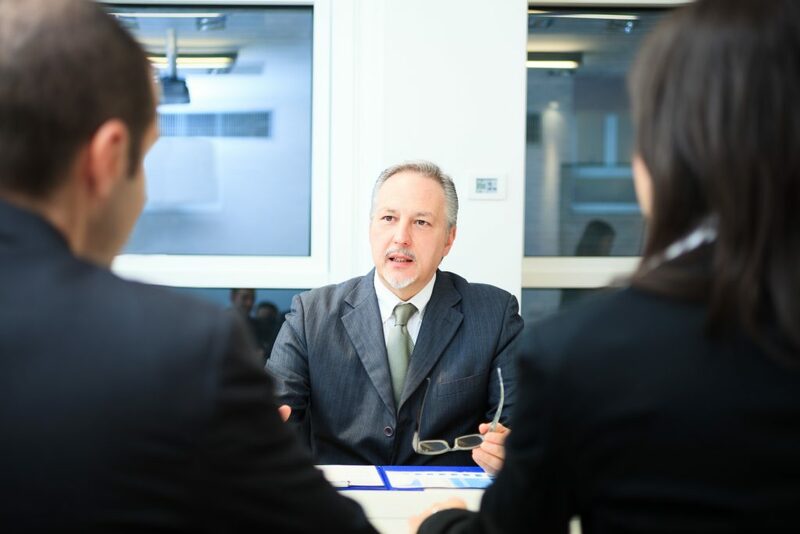 Your divorce judgment and custody arrangement may determine whether you may move freely, or you are limited by the court’s geographic restrictions. Listen to the podcast and learn why courts impose restrictions, why parents act the courts to life them and the factors involved when issues arise regarding geographic locations and children. You can make a contractual agreement with your future spouse to state what will happen if the marriage ends. While you can accomplish many goals with a properly written premarital agreement, there are some things you cannot change with a premarital agreement, such as an obligation to pay child support. In this podcast, you will learn the basics of what is required to form a valid premarital agreement, why people want them, and some common situations and issues involved. The differences between community property and separate property are the focus of this podcast in which Richard Sutherland explains why it matters whether property is considered community or separate. People often ask about the difference between property acquired by devise or descent, and as well how property is titled and whether it matters. Listen and learn how the Texas courts divide the community estate in a divorce and what other issues arise when determining who gets what in divorce. Are you considering divorce and worried about community debt? Are you worried about being liable for your spouse defaulting on the loan? Wichita Falls divorce lawyer Richard Sutherland explains the basics of sole management and control of community property as well as what happens a spouse or party to a divorce suit defaults on a financial obligation. Before you assume you are going to be ordered to pay the debts of the other, learn about marital debt and liability in Texas. Kids, summer and social media can be challenging for parents. Use some tools in this article to keep up. This summer there are many social media apps and conversations going on in your children’s cell phones and devices keeping the kids preoccupied and parents wondering what they are doing and to whom are they talking? Whether they are playing video games, texting a good friend about going to the pool later or they are heavily involved in a large group message about who knows what, all a parent can see is that the kid is glued to their phone. While this may seem innocent enough, the potential for mischief is there, and even more prevalent when kids are out of school for the summer and have too much time on their hands. 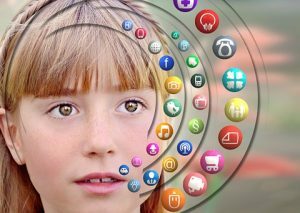 Do you know what social media apps your kids are using? Most parents with children old enough to have a phone or device understand that kids use different social media than their parents, on purpose. While many teenagers have a Facebook account, they only post things there for parents and the more adult crowd. Among peers, kids are using everything from Twitter to Snapchat and Instagram, as well as many more social media apps to which you have never been introduced. See this article with a list of popular social media apps for teens. The engineers who design social media apps for teens must understand a child’s concern for privacy from spying eyes when the images on the app button on the phone looks like something other than a social media app. For example, there is an app that looks like a calculator and is actually an image storage app. Maybe the thought is that if mom or dad is looking into their kid’s phone, they will not bother to check the calculator app to see if it adds and subtracts correctly. The key is finding your son or daughter’s creative username. Unlike Facebook and Twitter, where most people use their real names in their profile, in many of the other social media apps like Instagram, the user makes up their own unique profile name, like a personalized handle they will use on all the other sites. Most people, younger and older use the same personalized screenname so because their peers will recognize them on a variety of social media apps. There are apps you can use to see what your kids are doing. Once you find your child on Instagram, for example, and make a note of their username, you can then create your own profile on different apps to monitor your kid and figure out what they are up to on their phones all day this summer while they otherwise might be playing sports and other activities. Most parents pause to consider whether they are breaching the parent-child trust by spying on their kids, but those concerns are quickly alleviated by concerns about bullying and all the other awful segments of humanity to which children can be exposed online and on their social media apps. During summer break kids have lots of time on their hands and as parents it makes sense to not only pay attention to how much time they are in their phones all summer, but to also monitor their activity the best you can. For information about Wichita Falls Divorce and Family Lawyer, Richard T. Sutherland, please call (940) 691-2100.